Ugh, conflict. When you hear that word you might think of things like arguments, tension, trouble, fighting, misunderstanding, frustration, or even a battle. 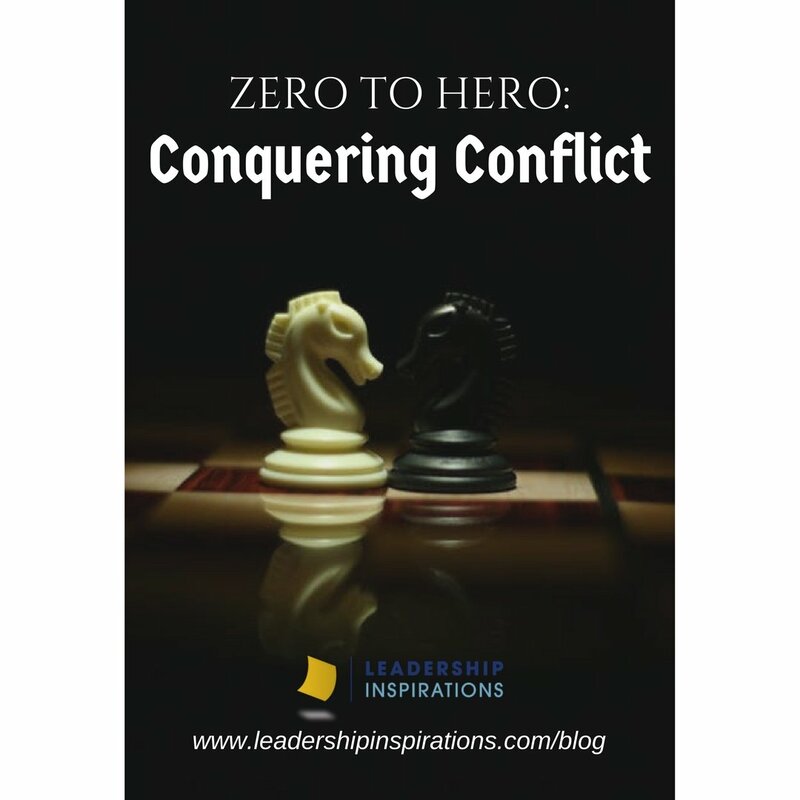 Conflict can distract team members from the ultimate goal, slow down the group process, and even ruin relationships. It is frustrating, complex, and totally normal. But here’s the deal, conflict makes things interesting. Consider this: any tv show, movie, or book involves the protagonist encountering some form of conflict. You wouldn’t be compelled by the story if there wasn’t some sort of tension, challenge, or problem that needed to be resolved! Now, in extreme cases, the character is so inequipped to resolve conflict that it leads to his or her downfall. That my friends, is what we call a tragic hero and is not recommended for leaders anywhere. Just ask Macbeth. Conflict is inevitable. 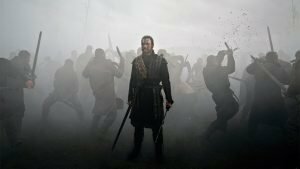 And fortunately, (unlike Macbeth) we have the opportunity to learn from our past experiences with conflict and make improvements for the future. How does even the word ‘conflict’ make you feel? Worried, competitive, annoyed? It’s important to first identify how conflict makes us feel so that we can understand our behavior in challenging situations. Then, think about how do you react or engage when you encounter conflict. 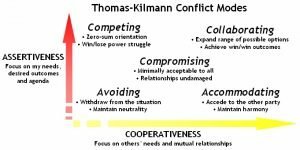 Thomas Killman’s Conflict model identifies five common modes of conflict behavior: Avoiding, Accomodating, Compromising, Collaborating, and Competing. Which one do you think you use most often? There’s no one ‘right’ or ‘best’ way to resolve conflict, but when we know our own process we can better evaluate our behaviors for effectiveness, as well as try new strategies that might be out of our comfort zone but are better suited for a particular situation. What makes you, you? Think about your personality, experiences, values, and beliefs. These unique qualities can help us to relate to other people but in many ways can also create opportunities for conflict. For instance, I consider positivity to be a personal strength of mine but this trait actually led to conflict between me and my coworker. Identify the true cause of conflict. At first, I didn’t know why my colleague was frustrated with me, and even after she expressed her feelings, I still wasn’t entirely sure. I could jump to plenty of conclusions on my own but that only leads to more misunderstanding. Conflict is emotional, which means that sometimes we think with our hearts and not our heads. As leaders we have to be able to do both! We can start by working to identify the major influences that caused the problem or disagreement. Was it because of a conflict in roles, goals, methodology, values, or information? The answer may not always be obvious. To get to the root of the problem, we have to think outside of our own scope, opinions, and perspectives. This means that we have to ask questions, listen to the answers, and be open to being wrong. 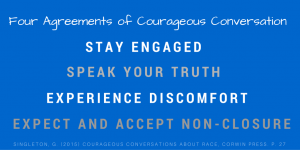 To really understand each other we have to be able to have conversations that are difficult, courageous, or even painful. Communicating your thoughts and feelings to your teammates can make a huge difference in resolving conflicts. The best way to do this is through intentional feedback conversations. My conflict with my colleague escalated because neither of us provided constructive feedback to help us work better with each other. 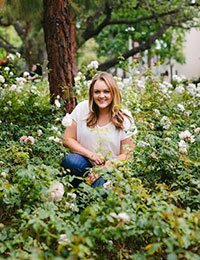 Through our experience, I learned that I should have communicated more effectively and that taking the time to ask an additional question for clarification can be extremely helpful. Once we were able to have a thoughtful feedback conversation, working together was easier because we were both able to make improvements. Creating a culture of feedback frames conflict as a positve learning opportunity for the entire team. Not all conflicts are the same which means that each situation requires its own approaches and strategies to be resolved. Some of these methods might be new or uncomfortable for you, and that’s okay! If you tend to be the quick to respond to conflict or the first to share your ideas, challenge yourself to listen to 2-3 other ideas before providing yours. You could even prompt others by asking “does anyone have some new ideas?” Be sure to actually listen to your team. You may be surprised by what they have to say! Or, if you are one to avoid conflict, phrases such as “something that I have observed is…” or “have we considered an alternative option?” are great ways to get a conversation going. Learn from conflict! How did you move forward? Was it effective? How can you better handle these situations in the future? Taking the time to understand how you manage conflict can help you work through difficult situations in the future. That’s when we really go from zero to hero. 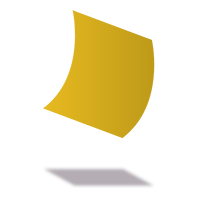 Brainstorm with your team all of the conflicts that exist inside and outside of your organization. For each conflict, determine the underlying root cause of that conflict – is it a role, goal, method, information, or value conflict (or is it more than one)? Discuss as a group why you categorized them the way that you did, and make any adjustments or changes as needed. Choose a few of the conflicts that are the most relevant or of most interest to the group. In small groups discuss how your team feels about the conflict, their concerns about the conflict, and then finally begin to strategize effective ways to resolve the conflict – utilizing the groups strengths, Thomas Kilmann’s conflict modes, courageous conversations, and reasonable actionable steps. Share these action plans out with the large group and ask for feedback from the group. Then, just do it! Put those plans into action!